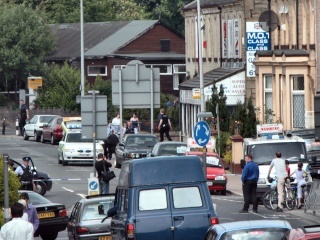 Pendle.Net -> News -> News Stories -> Archives -> Police Siege on Scotland Rd. Police Siege on Scotland Rd. 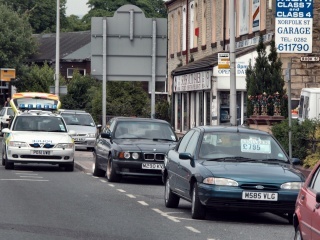 30 May 2003, NELSON - Police cordoned off the bottom end of Scotland Road between the roundabout outside Oddies Bakery and the M65 Roundabout at lunchtime today. While several local bobbies directed traffic and kept the public out of the area a handful of armed and plain-clothed police placed themselves outside Super Auto Saver on the corner of Rook Street and Scotland Road. A marksman with rifle was seen behind a car on the opposite side of the street to the shop with his sight firmly placed on the shop. 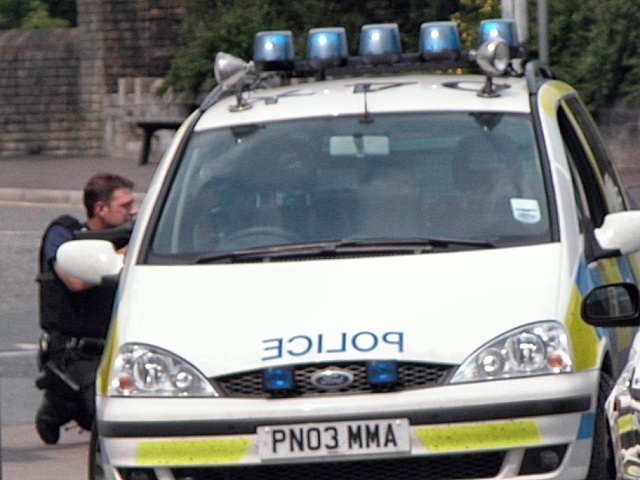 A police spokesman told the press that a local resident reported seeing a man with a gun inside the shop. According to locals interviewed after the incident it is believed that the arrest of an Asian male from inside the shop was related to the shooting incident that took place earlier this week around the Bradshaw Street area of Nelson. 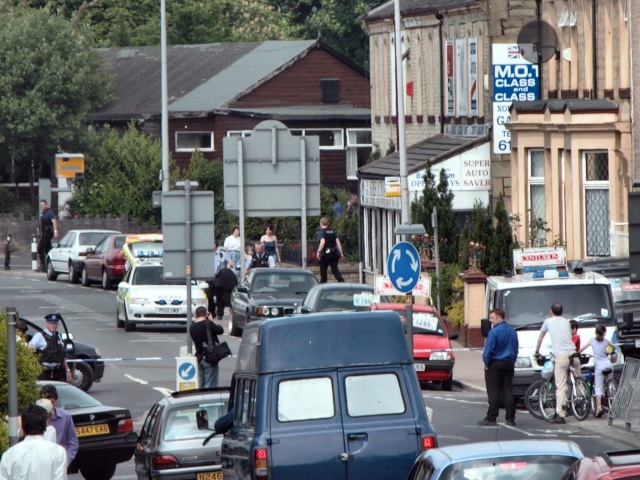 03 Jun 2003, UPDATE - Subsequent reporting in the local newspapers suggests that the two incidents are not connected and Imran Aslam (21), of Scotland Road, has been charged with two offences that are alleged to have taken place that day - possessing a firearm, or imitation firearm, with intention to cause fear of unlawful violence AND making threats to kill Rajab Ali and Khuram Mamoud on a nearby street. 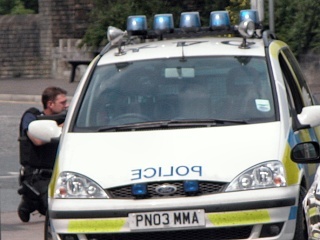 Police Marksman (one of them) takes aim. Super Auto Save shop where the suspect may have been. 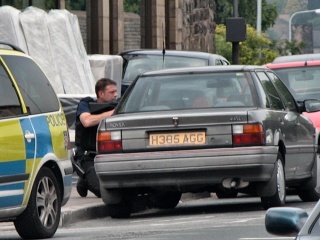 At the end of the siege police make an arrest and take away "evidence".